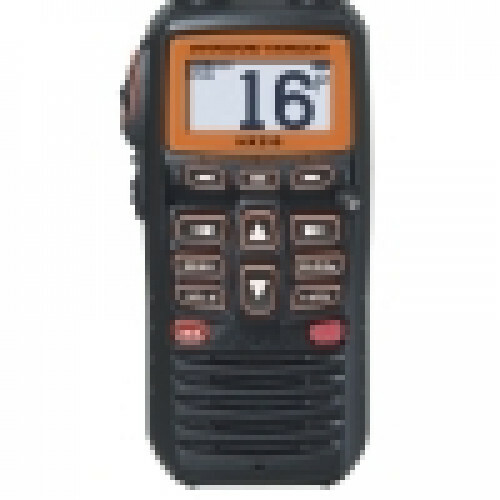 The HX210 is a VHF handheld built for marine use. The device is submersible, floats and features 6 watts of power. The radio has all allocated USA, International, or Canadian channels as well as the emergency channel 16. This VHF handheld features a Compact design which is light enough to float face up if dropped in the water. Another great feature of the HX210 VHF Handheld is that if the radio is submerged in water an emergency strobe light is automatically activated, even if the device is powered off. The strobe can be reconfigured to flash on and off, flash SOS, or set to stay on continuously. The large display makes the information easy to read while a backlight ensures information can also be easily read at night. 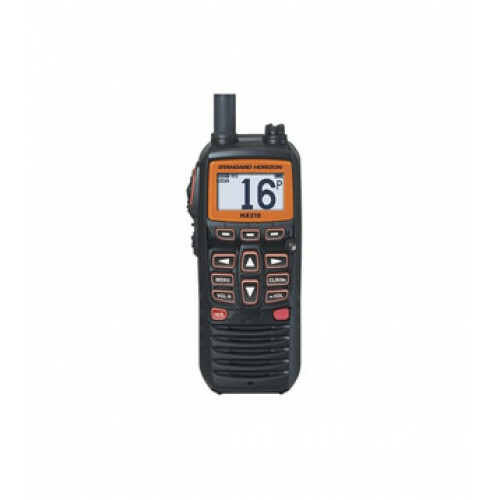 The HX210 boasts one of the largest displays in a compact and affordable handheld VHF. For music lovers the HX210 even has an expanded receiver allowing you to tune in to your favourite FM radio station. The radio will receive FM broadcast bands between 76 MHz to 108 MHz. The Standard Horizon HX210 offers a 3 year warranty which also includes water damage. We can also program this radio for any countrify please just ask !